The Lisbon Hospital page was built to let you know where to go in case of emergency. Portugal doesn't have any kind of special diseases that you should be aware particulary. But, when you are in vacation, some unpleasant things can happen like a sun burn or an indegestion, for example. In this case you should look for medical advice. If it is something that you consider minor, you can always go to a pharmacy and ask for the pharmacist advice. Unfortunatelly, our public health system is not that great compared with other EU countries. Not because of the medical care or the doctors. These are pretty good. But, the bureaucracy and some underfunding makes the system a little inneficient. In the public hospitals is not unusual to expect several hours for treatement, especially if it is not a "real" emergency. But, when you're treated by a doctor, particullary if he is a specialist, you can count with a good service. 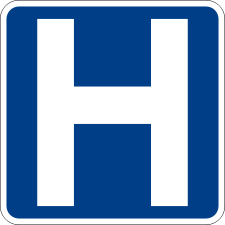 Besides the Public Hospitals there are several Private Hospitals you can use. Here the reality is a little bit different. They are less crowded so you don't have to wait so much. People with health insurance aways look for private hospitals only because it is quicker (and because of the refund, of course). Click here to know the Private Hospitals available to you.